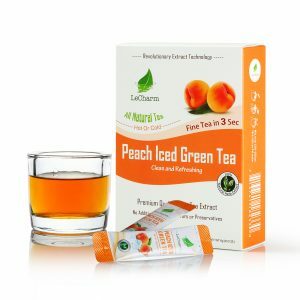 All Natural Peach Iced Green Tea Extract, extract from the real peach and green tea leaves, no artificial flavor, no addictive, zero calories, zero sugar. Mix with 200-300ml (6.8-10 Fl.oz.) of Hot/Cold/Iced/Sparkling Water. Shake well if mixing with Cold/Iced Sparkling water. Mixing with less water if stronger taste preferred. Add Lemon/Honey/Milk/Sugar depending on personal preference. When someone wants to have something that tastes great and is convenient to drink at work, they may consider choosing a tea sachet. These only require hot or cold water. The preparation is very easy and only takes about three seconds. This is something that other healthy drinks or bagged teas do not offer. After preparing a tea that requires a tea bag, there will be a wet and messy tea bag to throw out. 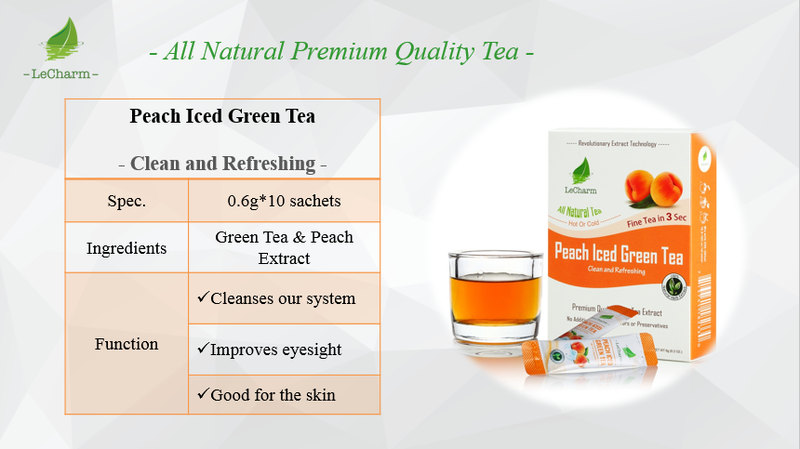 The tea sachet is simply opened up and dumped into the water where the ingredients will dissolve quickly and completely. These are easy to store and can fit into a purse or a drawer. 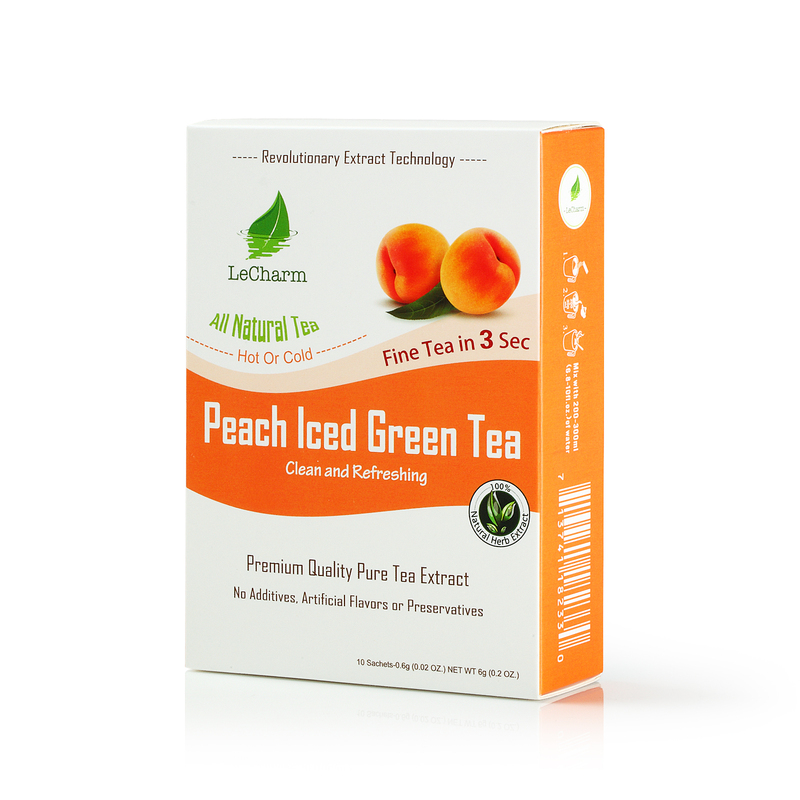 The same factors that soften the surface of the peach can be absorbed by the body through Peach Iced Green Tea. This variety of drink moisturizes the skin, allowing it to mimic a wonderfully velvety texture. 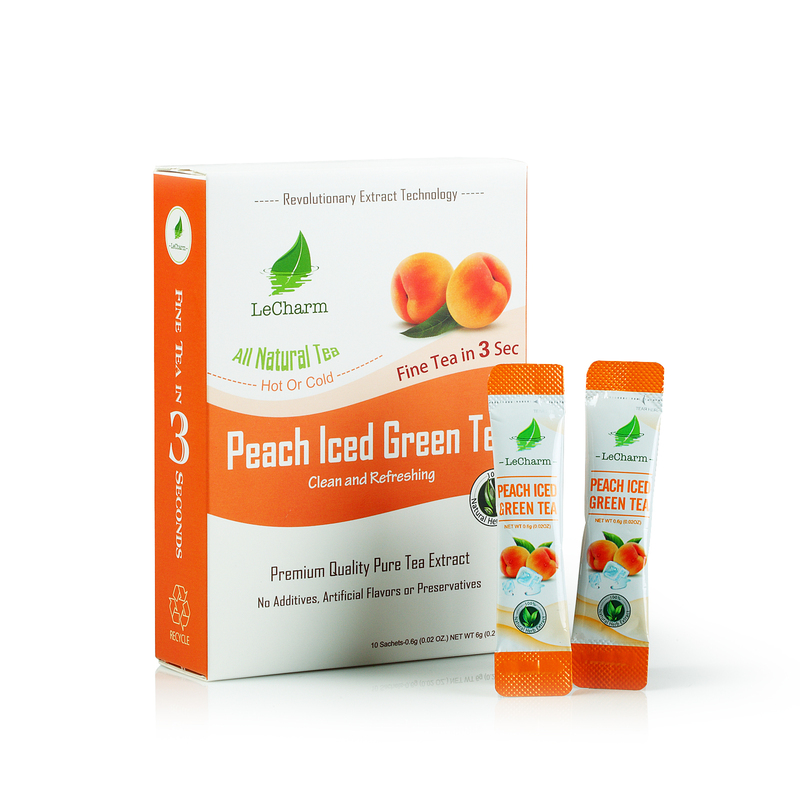 With organic peach laced into the tea extract, every sip of peach tea is like being beneath the canopy of a peach grove. The raw fruity tang cleanses the body as it sweeps through your digestive tract. Every idle moment alone The tea sachet only contains ingredients that are going to dissolve completely in cold or hot the water. There are not any wet tea bags to throw away either. This is something that helps to keep the preparation much easier while on-the-go. With it feels tranquil, like a walk in the park, and each breath vitalizes a tired body. Been trying to drink healthier, so I’ve been looking around for some easy tea providers. I’m not a big fan of hot tea, could never drink it at the right time or the right way. I always end up burning my tongue or something. This is why I took interested in this tea sachet thing. I can get myself some warm water and make the tea I like at the temperature I want. Jasmine has always been very good. It’s a genuine taste that I appreciate a lot, and I’ve been gradually introducing it into my daily routine. I don’t have to worry about tea leaves at the bottom thanks to how it’s been made into a dissolving extract. Definitely believe that which you stated. Will probably be back to get more.